Collaboration between photography and sculpture specialists is both the theme and the method behind Huxley-Parlour’s exhibition 'Auguste Rodin: The Photographs'. Hung around the walls of the photography gallery in Swallow Street, London, are more than 30 vintage pictures taken in Rodin’s studio during the artist’s lifetime (1840-1917) and under his direction. These offer a glimpse of this modern master’s sculptures as he worked on and thought about them. The show, which runs until August 11, includes dramatically lit images of some of his most well-known pieces, such as The Burghers of Calais and Eternal Springtime. These photographs are complemented by a selection of sculptures lent by Robert Bowman, a dealer based in nearby St James’s. 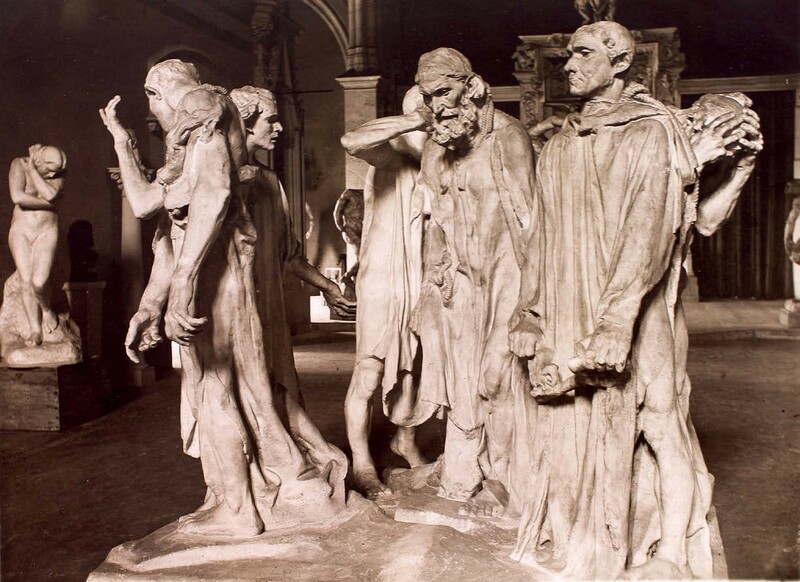 Rodin used the pictures of his work for documentation, depicting the changing stages of his pieces from clay maquette to completed bronze. Such subjects were ideal for early photographers, who had started turning their lenses on plaster and marble statues as early as the 1840s. “Statues, busts and other specimens of sculpture are generally well represented by the photographic art and also very rapidly in consequence of their whiteness,” wrote pioneering photographer William Henry Fox Talbot. Rodin worked with a number of photographers during his career, including those in this exhibition: Pierre Choumoff (1872-1936), Albert Rudomine (1892-1975), Jacques- Ernest Bulloz (1858-1942) and Alphonse Eugène Druet (1886-1961). However, while each had his own particular style and approach, Huxley-Parlour says, they generally played the part of “technician” to Rodin’s artistic director. 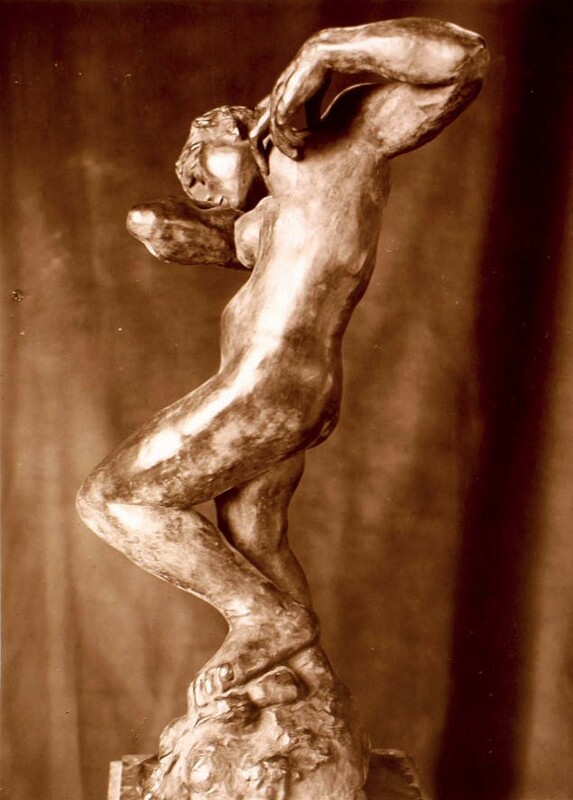 It was Rodin who oversaw the process, urging experimentation with lighting and angles. He was even known to retouch the surface of photographs to achieve a desired effect. 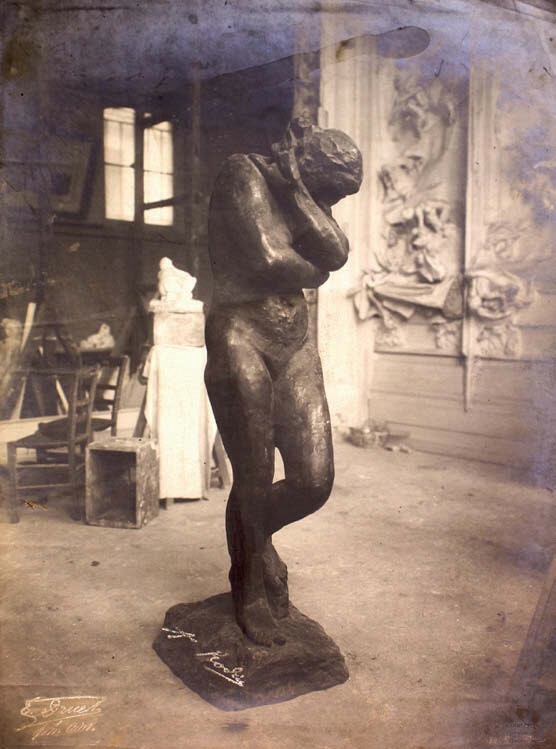 Alphonse Eugène Druet, Eve – a photograph from Rodin’s studio priced at £15,000 at Huxley-Parlour’s exhibition. 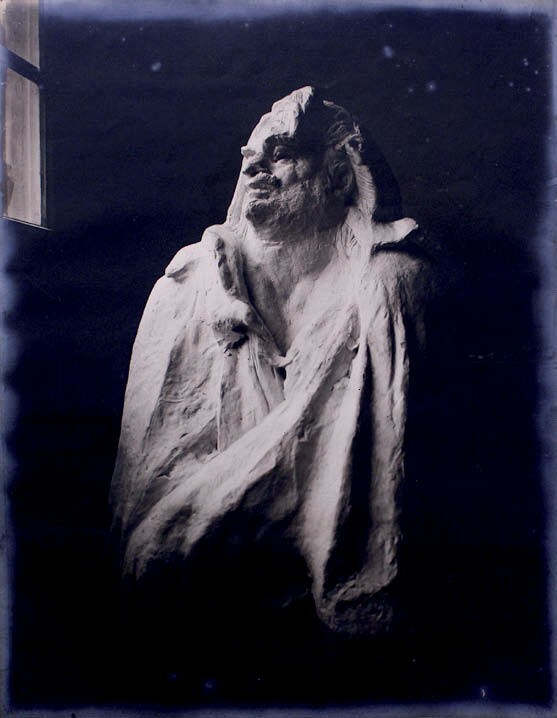 Rodin started exhibiting photographs alongside his sculptures from 1896. In 1900, at the Pavillon de l’Alma exhibition which helped him to gain international fame, he included more than 70 pictures next to his drawings and sculptures, to demonstrate his creative process. Since that show, there have been many tributes to the artist, including the British Museum’s exhibition, Rodin and the art of Ancient Greece, which continues until July 29. At Huxley-Parlour, visitors have a further chance to focus on – and purchase – evidence of the artist’s method. “I like to do a show over the summer that is a bit different, a little off-piste. It’s a good time to indulge yourself slightly,” says Huxley-Parlour. Formerly known as Beetles + Huxley, the gallery was founded in 2010 and focuses on artists working with photography who have played a significant role in the history of art. Huxley-Parlour took over as sole proprietor of the business in 2017.